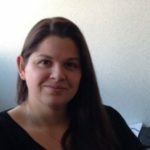 As several communications have been published by multiple voices in response to this new development, what would an organization such as the PRI have to add to the conversation? We are not involved in this industry and have no link whatsoever with developers or the authorities involved. It is nevertheless critical for us to have a closer look at the context and assessments which have led the EMA to this decision. 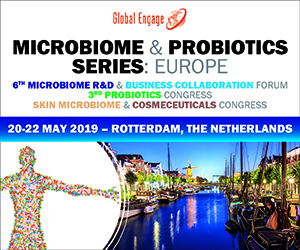 A great deal can be learned from this situation when it comes to our own microbiome industry and our efforts to register microbiome-based drug products in the EU. Indeed, as it was the case for Omega-3 and cardiovascular disease twenty years ago, today microbiome-based products have shown a proof of concept in a wide range of indications (a true ‘medicine of the future’…?). However, we should not forget a key reality: a drug marketing authorization is granted by a drug authority primarily according to whether the benefit-risk ratio is in the patient’s favor, and such a benefit/risk is assessed in a robust manner at the time of the marketing authorization (during post-market surveillance as well…). Therefore we at the PRI consider that this specific case is a learning opportunity for all those developing microbiome-based drug products in Europe. Fortunately, in its efforts to communicate to the public about its decision, the EMA has made a series of documents available on its website which are useful for understanding the process which led the Committee for Medicinal Products for Human Use (CHMP) to their decision. This provides a great insight into the expectations of the authorities, and the important questions the industry should start to consider as we are reaching the final steps of clinical development. To give a little more background on this Omega-3 case, it all started in March 2018 when the Swedish drug authority sent a notification to the CHMP (its role is provided in detail here) under Article 31 of Directive 2001/83 regarding one of the products on the Swedish market. In this notification, the Swedish Authority considered that the approval of this drug in 1999 (before Directive 2001/83 came into force) was based on an open study for which the results were statistically significant, but only marginally so. In addition, further analysis of the literature by the same authority showed that other 2012 meta-analysis (Rizos EC et al., JAMA, 2012; Kotwall et al., Circ Cardiovasc Qual Outcomes, 2012; Kwak et al., Arch Int Med, 2012) as well as a 2018 meta-analysis (Aung et al., JAMA Cardiol, 2018) concluded that the use of Omega-3 fatty acids was not associated with a significant lower risk of cardiovascular outcomes. Finally, the authority further highlighted in its notification the fact that the European Society of Cardiology as well as the European Atherosclerosis Society mention in their own guidelines for prevention of cardiovascular diseases that the Effect of Omega-3 fatty acids supplements is questionable on all causes of CAD and stroke mortality. So, to summarize, after analyzing the literature as well as the sponsor data contained in a registration dossier, a national authority considered that based on the state of the science and knowledge gathered, the benefit/risk ratio of this type of product no longer favored a net benefit for the patient, and made notification to the CHMP in order for this committee to begin re-assessing the use of this product in that particular indication. What does that have to do with the price of tea in China, you may ask? What’s useful for the Pharmabiotics industry can be found in the last section of the notification, which mentions that Cardiovascular disease is one of the most common diseases affecting the population and the target population of the claimed indication is very large. In our view, the authority is relatively skeptical of a product which would be efficacious in a vast majority of patients, who in fact represent several sub-populations with very different characteristics (considering the low level of efficacy of the product in the study used for registration as well as the later meta-analyses). Remember, clinical designs including stratification have taken on a greater significance in recent years and are now commonly used in clinical trials, which has sensitized the authorities to the potential of sub-population-related effects in efficacy and safety assessment. This is certainly something we know all too well in the Pharmabiotics world, where developers sometimes struggle with defining the exact and restricted indication of their products and narrow down the target population. We should strive to better understand the physiopathology of the target population and its potential stratifications, as this could be key in the identification of the specific population for which our product is the most relevant, and for which efficacy is the greatest. However, this should not be new for us, as we are more than aware of a large inter-individual variability and its importance when it comes to assessment of the efficacy of our products. 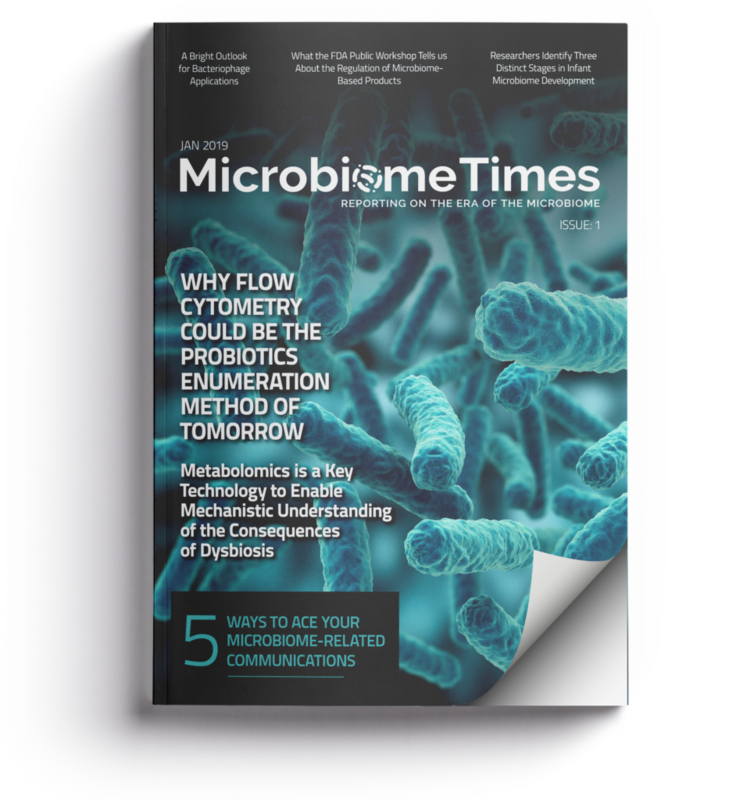 In addition, the microbiome composition itself was pointed out as a stratification tool in studies showing the importance of the microbiome composition when it comes to efficacy and safety of molecules in cancer treatment, for example (Zitvogel et al., Nat rev Microbiol, 2017). On the other hand, this is also a learning opportunity for us since we must understand that for pharmabiotics, as well as other types of drugs in general, the authorities are not willing to put, or keep on the market, products with a low level of efficacy solely because they have a good safety profile. Drugs should be efficacious, and this demonstration should be made through robust clinical studies which include hard endpoints. Once the procedure had started, EMA contacted all MA holders with a questionnaire regarding their products. This questionnaire required that MA holders provide information on the scientific evidence related to the therapeutic efficacy of their medicinal product in the questioned indication, as well as new scientific evidence derived from recent clinical trials carried out by the sponsor. After receiving such information, the EMA timetable published shows that multiple question/answer sessions took place between March and November 2018 allowing the CHMP to add data to their assessment of the benefit/risk ratio for these products. Finally, in December 2018, the CHMP provided the final opinion described above. It is important to understand that this decision was not only based on the initial notification and literature, as some interests would have us think by their publications in various media outlets (specialized or otherwise), but also following a procedure to which the industry had the opportunity to provide new information and data. 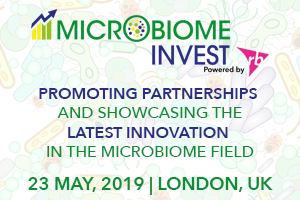 And this is also where our microbiome industry can gain valuable insight, as we are so focused on the current developments and the Marketing Authorization application, our ‘Holy Grail’ in a world where there is currently no guideline available in the EU, that we might sometimes lose sight of what comes next: the constant assessment of the relevance of our products as compared to scientific developments. Are our products still the most efficacious? Or is the evolution of science providing a different angle on the evaluation of its benefit /risk ratio? Indeed, in the case of Omega-3, the 1999 Open-label study was run according to a design good enough to support efficacy and played a large part in the positive evaluation of the benefit/risk ratio. However, it is not the state of the art anymore when it comes to clinical trials and the evolution of the Guidelines – and furthermore the clinical studies design exposed the weakness of the initial evaluation. It is now becoming a negative argument. So, when it comes to Pharmabiotic products, it is therefore of high importance to understand that today, proof of efficacy must be done in a highly robust manner according to the Good Clinical Practices guidelines, and up to the current state of the art regarding clinical study design. However, as the science improves, the assessment of the benefit/risk ratio may also evolve, and in this day and age, it is incumbent upon the industry to demonstrate that their products continue to provide a great benefit to patients in 10 or even 20 years from now. It is also incumbent upon the industry to monitor the efficacy as well as the safety of their registered products, particularly when emerging technologies are developed. 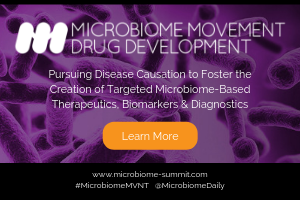 Though we consider ourselves as on the ‘cutting edge’, we can certainly count on the fact that our understanding of human physiology and probably the microbiome itself will give rise to a new set of questions which will shed new light on how our products are assessed and could therefore put the benefit/risk assessment of Microbiome-based products into question. We must then be prepared by ensuring that we continue to innovate and build upon the knowledge which is the basis of our products, as it is the key to maintaining our products on the market. 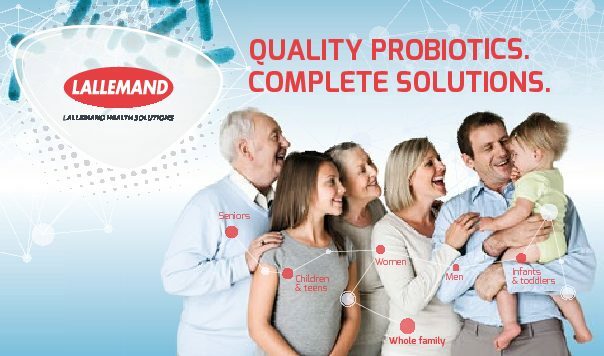 As we eagerly await the first marketing authorizations for microbiome-based products, though we consider ourselves cutting edge scientists, let’s not forget our duty as drug developers, which is to make a robust demonstration of safety and efficacy of our products in a very well-characterized indication and population, as well as maintain durable investment in innovation – this will support the life of our product on the market and keep us ahead in the field. Innovation is key – our continued diligence must not cease the day that a marketing authorization is granted. Kotwal S, Jun M, Sullivan D, Perkovic V, Neal B. Omega 3 Fatty acids and cardiovascular outcomes: systematic review and meta-analysis. Circ Cardiovasc Qual Outcomes 2012;5:808-18. Kwak SM, Myung SK, Lee YJ, Seo HG, Korean Meta-analysis Study G. Efficacy of omega-3 fatty acid supplements (eicosapentaenoic acid and docosahexaenoic acid) in the secondary prevention of cardiovascular disease: a meta-analysis of randomized, double-blind, placebo-controlled trials. Arch Intern Med 2012;172:686-94. Rizos EC, Ntzani EE, Bika E, Kostapanos MS, Elisaf MS. Association between omega-3 fatty acid supplementation and risk of major cardiovascular disease events: a systematic review and meta-analysis. JAMA 2012;308:1024-33. Zitvogel L, Daillère R, Roberti MP, Routy B, Kroemer G. Anticancer effect of the microbiome and its products. Nat Rev Microbiol 2017; 15(8):465-478.